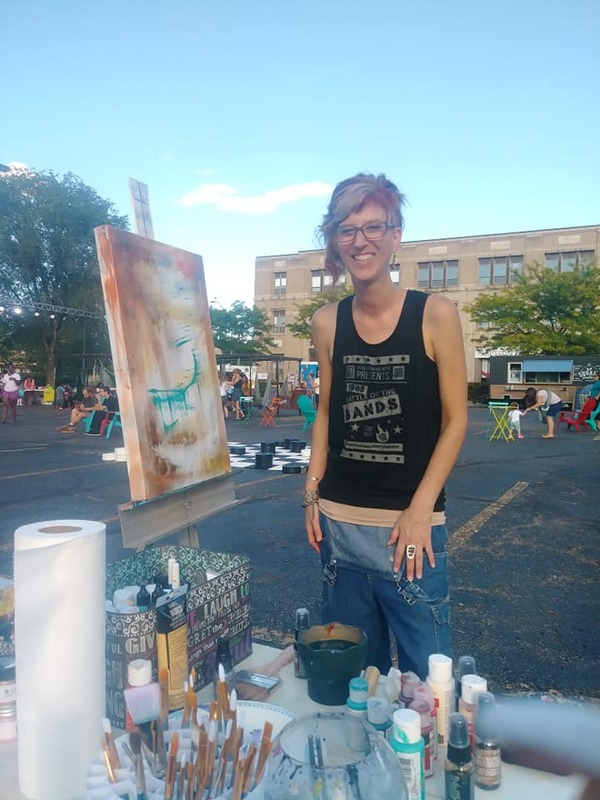 Artist and entrepreneur Nikki Bartel will have a one-woman show at the Summit Artspace on Tusc gallery, April 13-May 11. Her studio is also located in Summit Artspace on Tusc at 571 W. Tuscarawas Ave., Barberton. Nikki will be in the gallery on opening day, Saturday, April 13, 12-5 p.m. The gallery is open Fridays, 5-8 p.m., and Saturdays, 12-5 p.m. Shows are free and open to the public. Nikki’s work is distinctive and there is no hiding the emotion behind the brushstrokes. She often confronts women’s issues on canvas. She works in all media. Besides her studio business, she created Aspire, Dream, and Jingle, a collaboration of mixed Media art, custom jewelry, and dreams. She has recently begun work with the Artistic Souls Gallery Auction.